Dr Kevin Yoong graduated from the University of Glasgow and completed his clinical training in 1992. He trained in General Medicine, Gastroenterology and Hepatology at major teaching hospital in London and Liverpool. He spent two years at St George's Hospital as a Lecturer and Research Fellow researching new models of care and gastroenterology. During this time his research findings were published in peer reviewed journals and he presented these findings at the Royal College of Physicians of London and several national and international meetings. He has special interests in endoscopy, colonoscopy and therapeutic procedures. (e.g. polypectomies, treatment of varices, stricture dilatation and stent insertions) and is actively involved in training at the Treatment Centre at Leighton Hospital. In 2007 he was appointed to his current post of Consultant Gastroenterologist and Physician at Mid-Cheshire Hospitals NHS Foundation Trust. 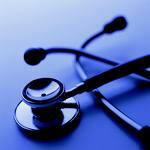 He will therefore give you the experience of a London trained doctor in Cheshire.